What does this test include? Herpes is best diagnosed by swabbing a blister or an ulcer. A Herpes blood test is also available. What if I test positive for Herpes? We will refer you to our sister clinic who will prescribe an appropriate anti-viral treatment to be sent out for next day delivery. How long does the test result take? This PCR test is a specialist test that needs to be done in a referral laboratory. 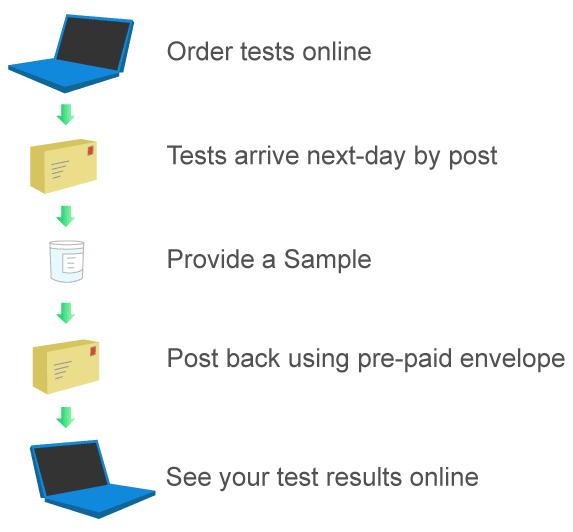 Results take 3 – 4 working days from the time that we receive your sample back. We use one of the UK's leading pathology labs and the result will be accurate if you have no Herpes infection or the virus is active. If you have herpes but the virus is not active, this is likely to produce a negative result. If you have symptoms such as blisters or sores around your genital area then we strongly advocate a symptomatic lesion test that looks for herpes and syphilis. This can be found on the symptomatic lesion test page. A urine-based herpes test would be appropriate if you have some urethral discomfort but no signs of blisters and all other options had been excluded. Where there is some urethral discomfort or signs of an unusual discharge then we recommend the Full STI Screen. How long should I wait after a risky event? We only recommend this test if you are displaying potential symptoms such as small blisters or sores around your genital area.